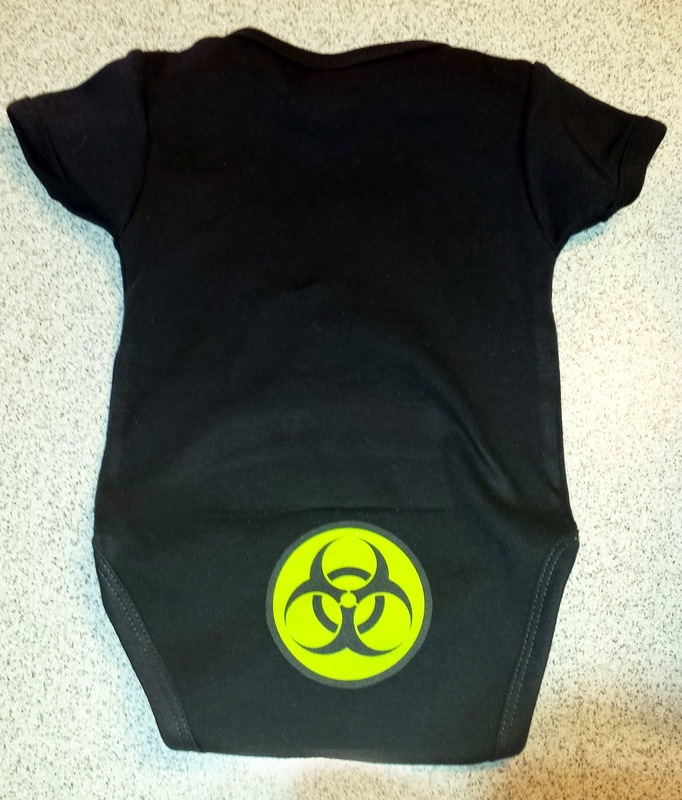 100% cotton Biohazard Onesies... because we aren't going to pretend that some biological disaster isn't hiding in that diaper! Imprint is on the back of the Onesie where the actual hazard lies. US fabric assembled in Guatemala. Design and imprint made in Colorado, USA. 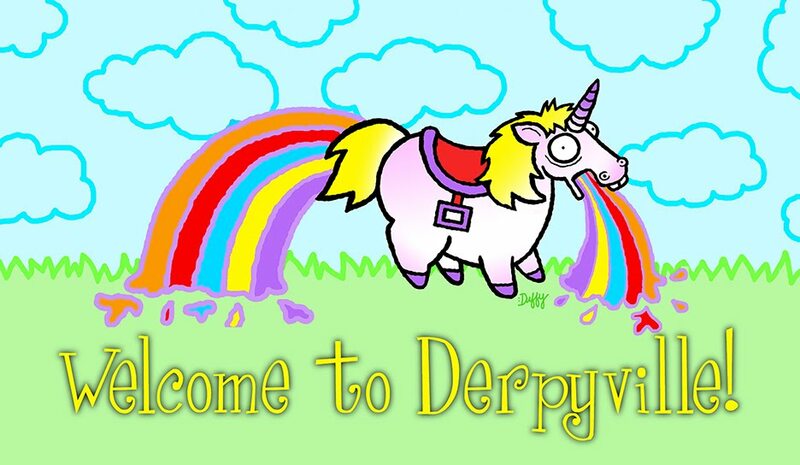 Fits 6-12 months. Available in white, black (shown) or ash grey. 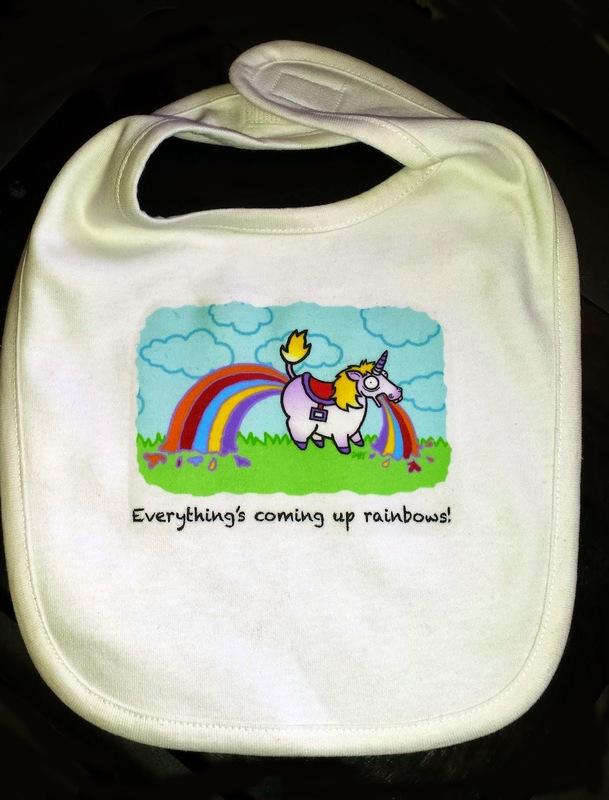 Everything's Coming Up Rainbows with our 100% cotton "Double Rainbow" bib! Velcro clasp. US Fabric made in Guatemala. Design and imprinting done in Colorado, USA. 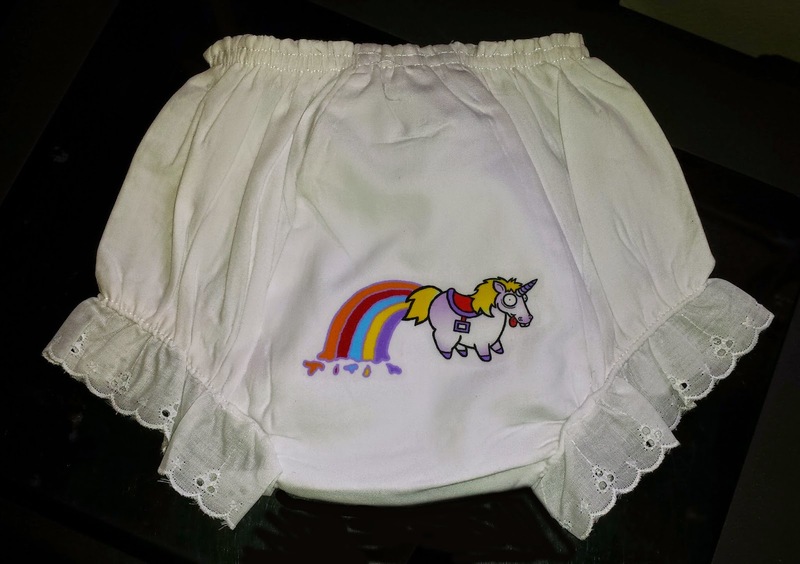 Unicorn pooping rainbows diaper cover.